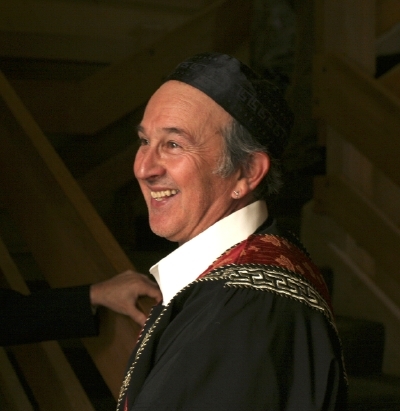 Yehudah Winter, RN, MS - Yehudah was raised Jewish and, in his spiritual explorations, has lived in a Zen Buddhist monastery, studied Aikido, Yoga, and Tai Chi, and been a frequent participant in the Native American sweat lodge. Since 1977, he has performed weddings of almost every combination, employing his experience, openness, and creativity in each one. After working a decade as a hospice and oncology nurse, he decided to devote himself to helping people with every type of life transition from birth to death. He and Joanie are both Compassionate Listening Facilitators associated with The Compassionate Listening Project. Joanie Levine, M.A. - Joanie is a born ceremonialist. Since her 20's she has been creating ceremonies of all sorts - weddings, coming-of-age, funerals, solstices, equinoxes - for small groups as well as gatherings of 600 people. Joanie is spiritually eclectic - Jewish by birth, she is a student of Native American, Buddhist, Taoist and Unitarian theologies. A Dance Ethnologist, Joanie has studied how ceremony functions in cultures around the world. She feels a special connection with nature and is an avid organic gardener, a published poet and a professional storyteller. Currently, both she and Yehudah sing in a choir and a chant group. Both she and Yehudah are Compassionate Listening Facilitators with Compassionate Listening.Org- and they both are good at listening to what a couple really needs - all the nitty gritty details that a ceremony requires. 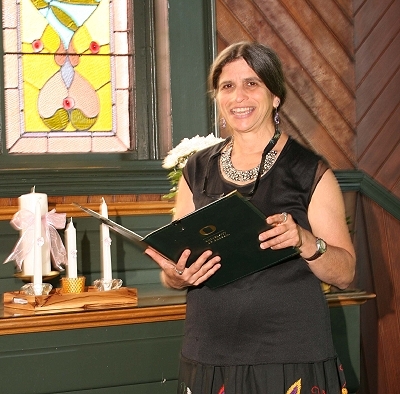 Ana Villarqui is our Spanish bi-lingual officiant. She is available for both bi-lingual and Spanish language weddings, as well as simple non-denominational ceremonies. 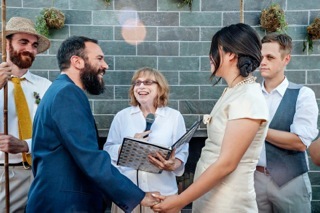 With her years of experience as a Spanish and ESL (English as a Second Language) teacher in Oregon and North Carolina, her warmth and creativity, Ana offers couples the opportunity to create a unique and beautiful wedding ceremony. Ana Villarqui es nuestra oficiante bilingüe. Ella prepara y oficia ceremonias para casamientos en español o bilingües. Con su experiencia como maestra de español e inglés como idioma segundo en Oregon y North Carolina, y su personalidad genial, Ana les ofrece la oportunidad de crear una hermosa y única ceremonia matrimonial.